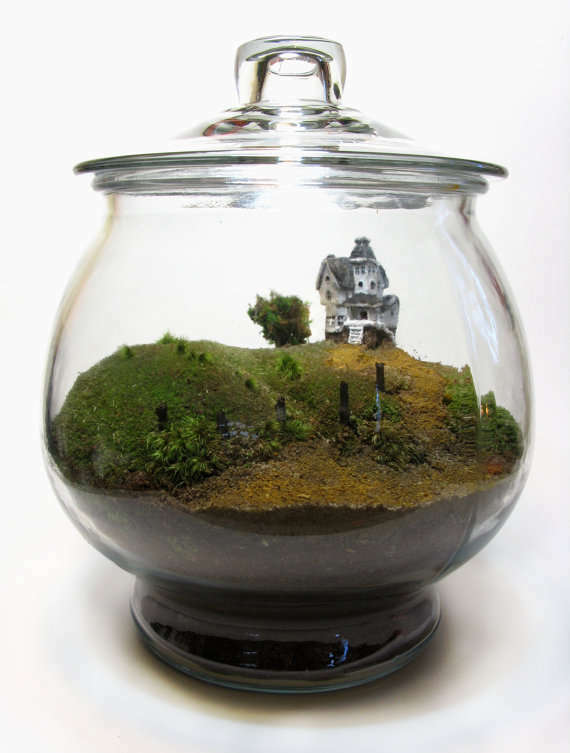 A terrarium is effectively a miniature reproduction of an ecosystem, neatly encased in a glass or transparent container. 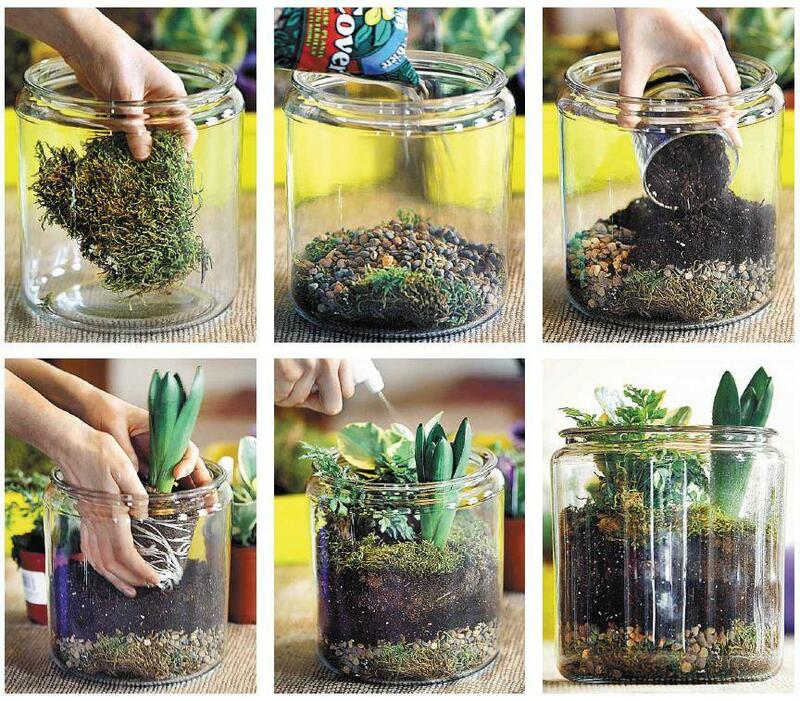 Usually these containers can be opened so that you can maintain your plants, but some terrariums are sealed (this will require different kind of plants, positioning, moisture and exposure). 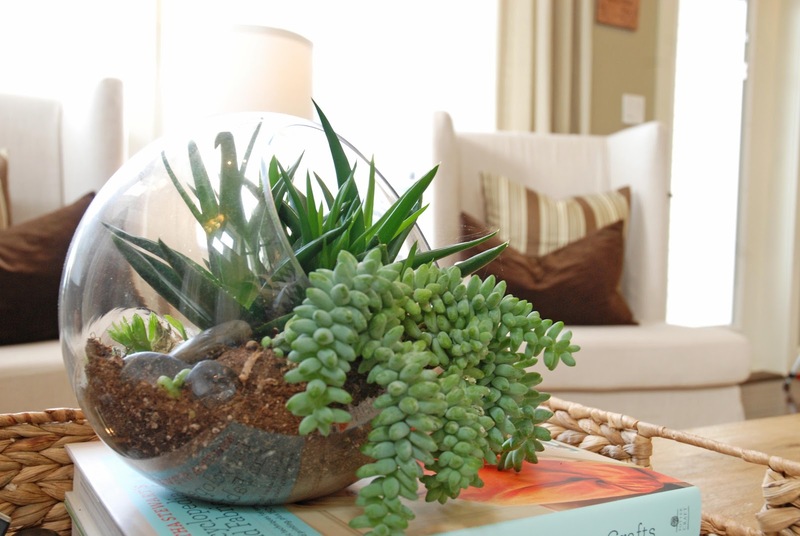 Terrariums then are a fantastic decorative element in any modern home. Just how aquariums seek to recreate an underwater environment, terrariums re-create entire ecosystems in a very limited space. 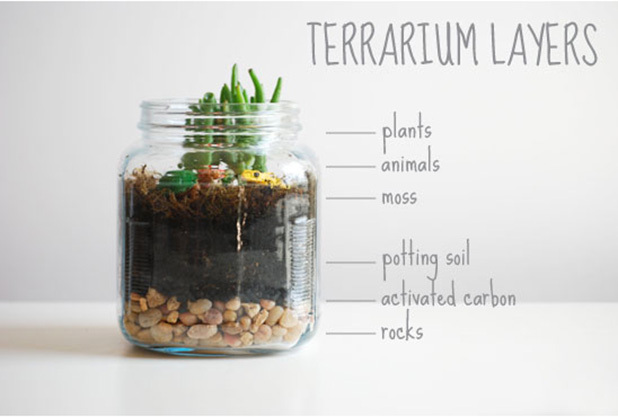 In sealed containers, heat and light enter the terrarium, which then creates its own version of an entire water cycle as the moisture evaporates from the soil, condenses, and falls back into the soil later on (just like rain). All this allows the plant cells to perform photosynthesis, the most important aspect of plant growth. 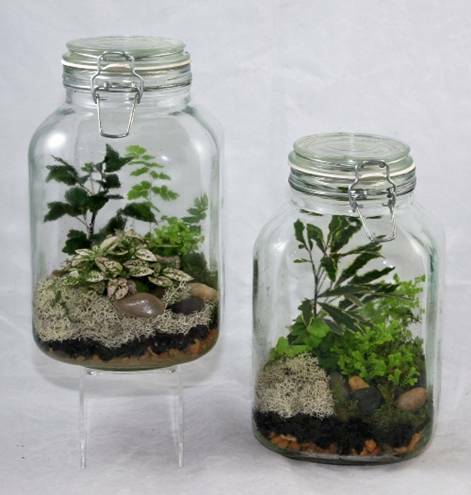 However, you can very easily found most of the elements necessary for creating your own Terrarium in your garden or terrace. 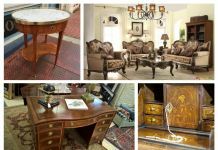 Currently the fashion in Interior Design, you will not find it hard to make your own. Some easy variants can be made in under an hour! 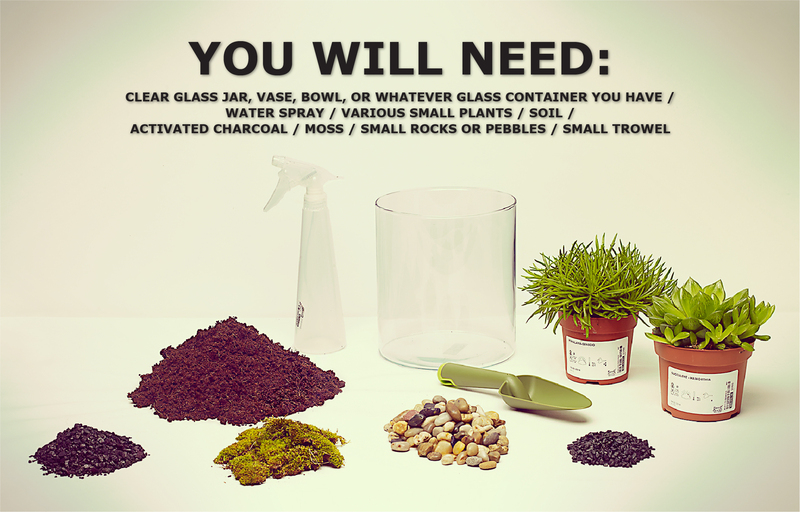 With a clear bowl, a water spray, humid soil, moss, pebbles, and a handful of activated soil, the procedure is very straightforward. A small trower will also help, but you can do most of the work with your hands if you do not mind getting dirty! 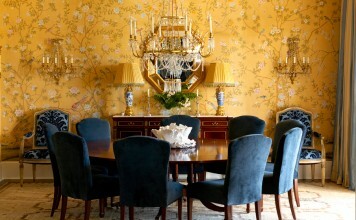 With such an easy procedure, why not include this statement piece in your interior design plan? 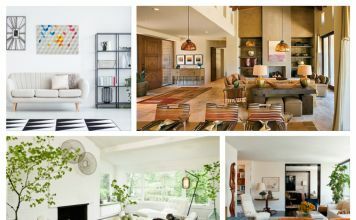 Place terrariums in well lit, well ventilated areas, or even in porches, on windows, in living rooms, sitting rooms, kitchens, and even bathrooms. Choose plants that coordinate well with other plants in the same room, and if possible colour the pebbles underneath in a matching colour to your base room colour. (Alternatively you can buy coloured decorative pebbles at any home improvement store, or online). For a more rustic look, use a clean vintage mason jar as a container, and include a jute or twine tie on it. 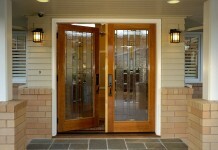 For a more glamorous look, be sure to use a sleek glass container, perhaps with a unique or novelty shape and form. 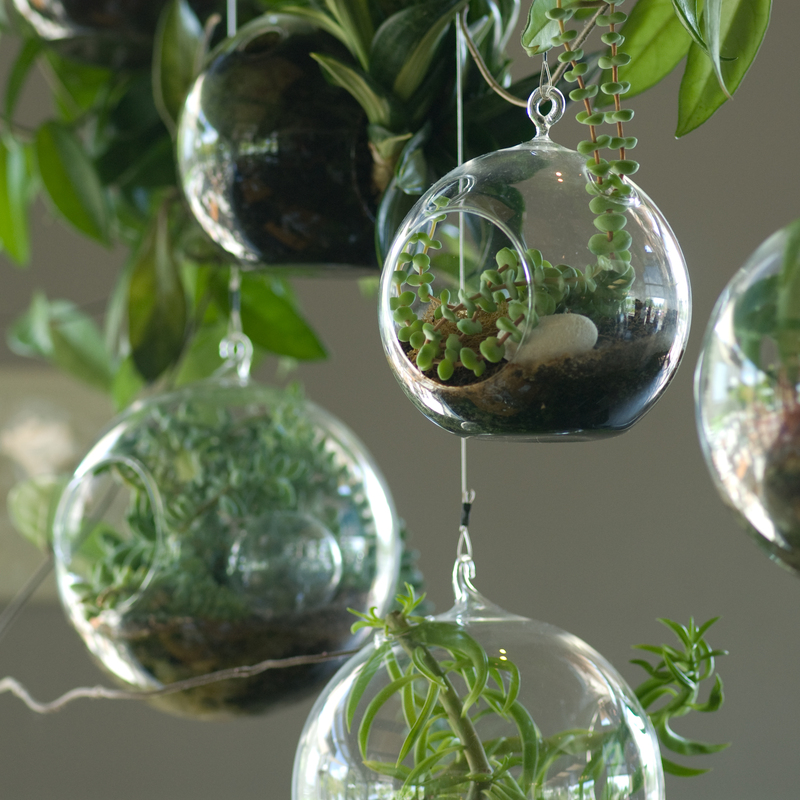 Flowering plants would be ideal (many succulents and cacti do flower), but a splash of green on its own also makes a wonderful terrarium. 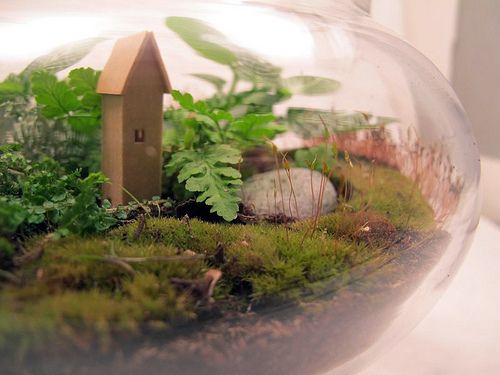 You can also decorate your terrariums with decorative dolls or miniature cottages and castles. 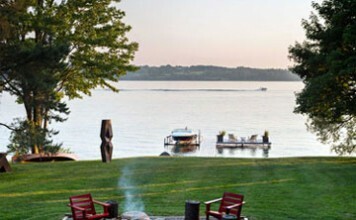 Really unleash your imagination with this project, and it will really pay off. If you have a passion for garden gnomes, fairies, or lilliput lanes, this is really your opportunity to get your creative genius going. The most important thing is to have fun with this project, and do not forget to look after your plants. 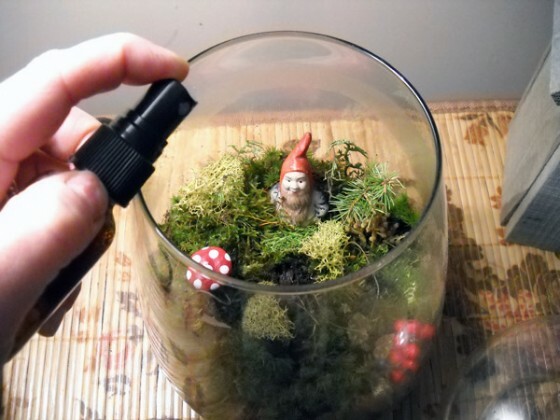 Unless you are making a sealed terrarium, do not forget to water the plants, dry the excess moisture, and make sure that the plants are getting enough light.